The challenge – design the widest omni-directional antenna ever built period. Don’t forget to make it small, ruggedized, deployable, and uniform without sacrificing performance where signal detection is needed most. The answer – the UltraWide Omnidirectional Antenna from Anritsu. 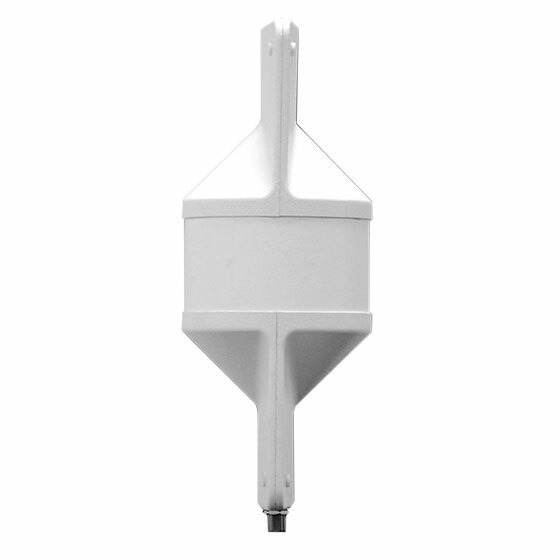 This antenna’s gain and efficiency have been maximized to give the greatest Omni-directional sensitivity from an amazingly low 20 MHz to well above 21 GHz. The nominal gain of the antenna is -7 to +0 dBi over 98% of the antenna. This ultrawide antenna offers the finest wideband sensor for receiving RF signals. This new sensor was optimized using state-of-the-art genetic algorithms and electromagnetic simulation tools. It covers the frequencies you need to detect most often – and then some. A perfect blend of performance and quality make this unit ideal for SIGINT and multiband communications applications. Complete with a ¼-20 tripod mount on the base.